I have just returned from a month in the Gambia (Sandra stayed at home with our new puppy)and can report on very considerable progress at both schools, which I will post details of over coming months. As a result of our ICT interventions in both schools, and because of better telecoms in the country, we will be sponsoring the installation of Wi-Fi hubs in both schools - so there will be good internet access for the first time. Again, we hope to report on progress, later in the year. So much for the headlines. The more detailed aspect of this newsletter concerns the political climate in the country. Although this is, of course, completely outside of the control of this charity, it impacts directly on all those we hope to assist. The Gambia is tiny (less than 2 million people) and is rarely news in the rest of West Africa, never mind in the West. What is reported in the UK is often garbled and incomplete, so we will attempt a brief, but fuller picture here. The President of the Gambia for the last 22 years has been a corrupt, civil rights-abusing, brutal dictator, Yahya Jammeh. He lost the presidential election to an almost (even in The Gambia) unknown, Adama Barrow, in December last year. Jammeh refused to accept the result. The surrounding West African states (known as Ecowas) played a key role in "persuading" him to go - including by amassing an armed force to ensure the election result was adhered to. There was almost 3 months of instability (December - February), during which time Jammeh plundered the state's coffers and negotiated himself an exit (to Equatorial Guinea). He eventually left on 22 February, without a shot being fired in anger. Adama Barrow was inaugurated as the new president on 18 March, amid much jubilation. Barrow is best, if at all, known in the UK as having worked as a security guard for Argos in Islington. Correct - but he was doing so when a student in the UK, as a means of paying his way through college. He heads a coalition administration, with a very difficult job. The state coffers have been depleted and there are few people in positions of power in civic society, or the military who are not in some way tainted by their association with his predecessor. So, the task ahead is a difficult one and it is far too early to indicate whether the new regime will be up for it. But, the early signs are good. 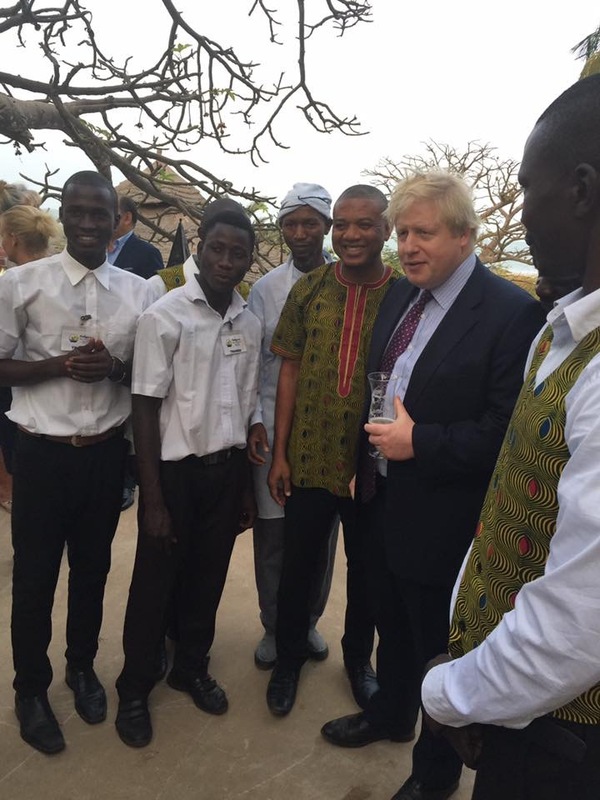 Barrow has said that he wants The Gambia to become a beacon of human rights in Africa, after the oppression of Jammeh. Easy words, perhaps, but the gay-friendly article in the newspaper clipping below is a very bold step in that direction in a region of the world usually hostile to gay rights. As we say, these are early days, but we hope they will provide a peaceful and more prosperous political background for the people of the country, and in particular for those in the village of Sohm and their students.